In April of 1996, I went to Blumenau, in the state of Santa Catarina, Brazil. I had been invited by a colleague at the Universidade Regional de Blumenau to participate in a symposium convened to analyze the impact of a proposed flood control scheme on the Itajai river. The concern was that the proposed solution, a conventional hold-by-levee system, would have serious ecological, aesthetic, and other impacts. The participants came from governments, universities, and the professions, and belonged to a host of natural and social science disciplines, including physics, chemistry, biology, history, anthropology, and education. The first day of the conference, hoping to break the ice, one of the participants approached me and said: "May I ask what is your field?" I said: "Civil engineering." She answered, smiling: "Oh, then, you don't know anything." 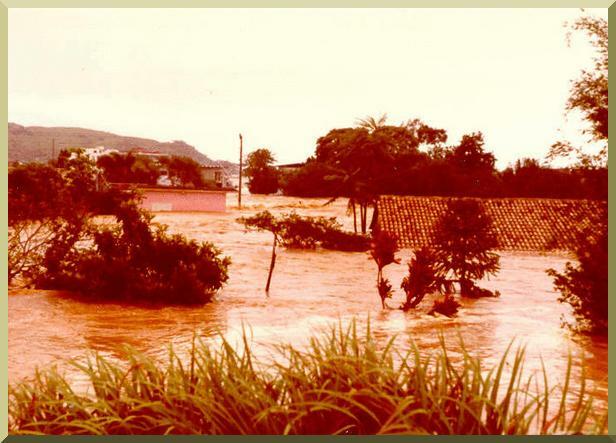 Flood stage in Itajai, Santa Catarina, Brazil, January, 1983.